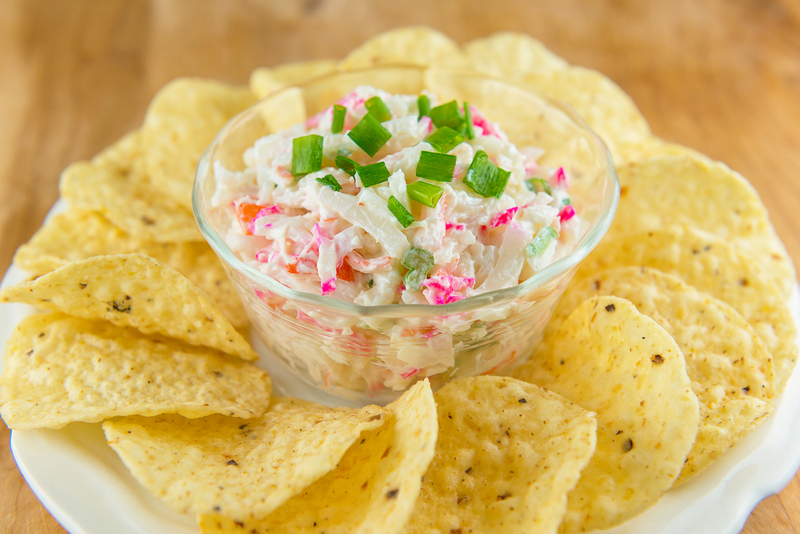 Chop kamaboko and shred imitation crab meat and set aside. Blend cream cheese, mayonnaise, salt, and pepper in separate bowl and mix well. 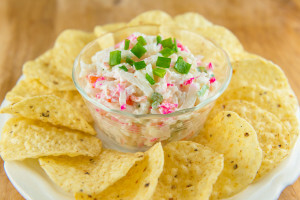 Add kamaboko, imitation crab, and green onions to cream cheese mixture and mix well. Serve with your choice of crackers or chips. May top with green onions for color (optional).